Rudi Venter started his career as an automotive journalist in 1998 in South Africa. When he was approached to join Audi in 2003 as a PR manager he decided to jump the fence and join the corporate world from what he describes as the ‘care free world’ of car journalism. 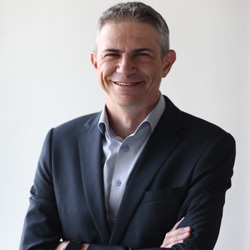 He held a number of positions after that in marketing at Audi South Africa. In 2015, he joined the newly started Audi structure in Malaysia in a marketing role, from where he moved in 2017 to become the General Manager for Marketing at Audi Singapore. Did he join after or during the Audi-Volkswagen brand separation? What about Audi’s positioning as the premium brand? What about Vorsprung durch Technik as a brand mantra and how is this reflected in the marketing strategy? Does this influence how Audi onboards new marketing technology? Did this not start already in 2011 with Audi City? The Audi dashboard and the built-in technology are becoming more and more digital and complex. Yet the competition is doing similar things. How does Audi ensure they stand out? How do you stay top of mind in a very digitally cluttered environment how do you determine the mix? Are you actually going completely digital? And finally, how do you build premium-ness in digital, which in and off itself is more and more commoditised? “Digital is the way the world is going. We were just looking at market data that underscores that mobile is the most important device and people watch less and less television. But for Singapore, which is where my focus is, we still see that physical newspapers and radio are still important channels. So as tactical marketing channels, we need to keep them in the mix. Do you work specifically on ad placement strategy with your agency? How do you deal with the so called digital clutter and the fact that you don’t always control your placement? 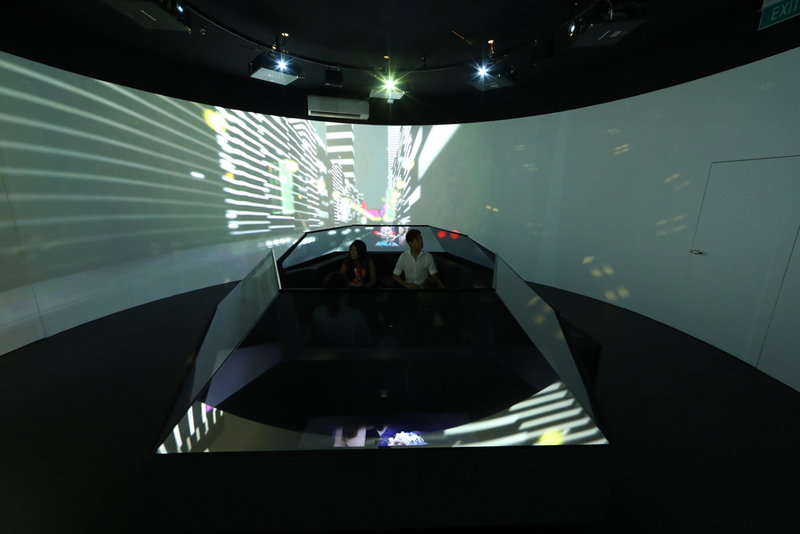 What about the Singapore Motorshow? Most brands did not come with anything other than putting the car in the showroom with the scantily clad females next to it. How did Audi do this different? How do you distinguish yourself from the obvious direct competitors; BMW and Mercedes? How do you deal with connectivity and the logical preference of customers to use their own devices in the car? “It is important to understand what we mean by connectivity. It is much more than just Bluetooth and apps. There is to so-called inter-car connectivity and then there is the car-to-X and the car to car connectivity that is important for autonomous driving. We are moving to autonomously driving vehicles and in order for this to work, the cars need to communicate with each other and with a bigger infrastructure. “To me there are two distinct part to connectivity. On the one hand, there is entertainment and we are offering this in the car through Apple Carplay and the likes. We take this very seriously because a good integration means you don’t have to keep the phone at hand. It can be in the glove compartment or in your pocket where it won’t cause injury because it is in a holder attached to the dashboard. Is it true that the younger generation is moving away from car ownership? Does your research prove this? “Younger people might no longer be interested in owning a car but that does not necessarily mean that they are not interested in driving. There are moments where they would definitely prefer driving one privately. On top of this, for a premium brand it is even more difficult to share because of the premium owners have paid. 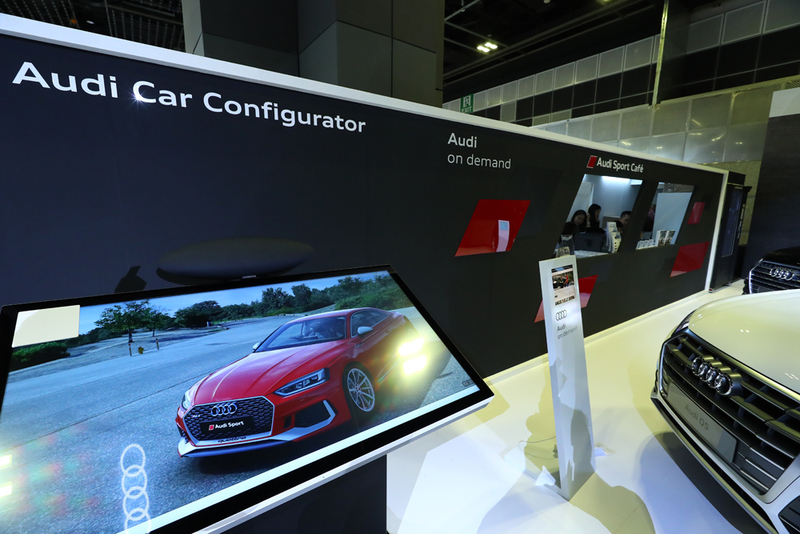 “But in Singapore we have just introduced a car leasing system called Audi on demand. This allows you to access a fleet of vehicles and you pay per hour for the use of the car, once you have reserved it for a certain amount of time. Do you consider that to be part of marketing? Could this for instance be a part of demand generation? 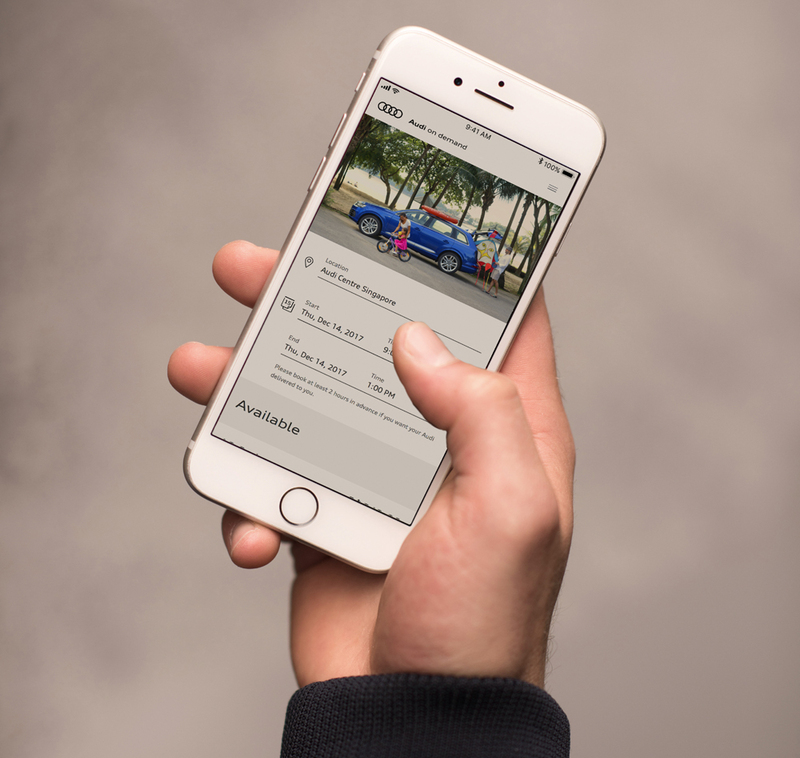 There is a focus on customer experience at Audi. How does Audi make a difference, also in terms of products? “The thing that is going to separate us from the other players like BMW and, Mercedes, who make very good cars, is the customer experience. You will have to be able to offer something that customers appreciate so much that they will come back to you and not to the competitor. It suits your lifestyle more, both on product and customer experience level. As an element of this we have a sophisticated membership program that provides lifestyle privileges to our customers. Through the data they provide us, we are able to deliver better service, messages and in general a better experience. As branding is so important, how is this centrally driven from Ingolstadt? 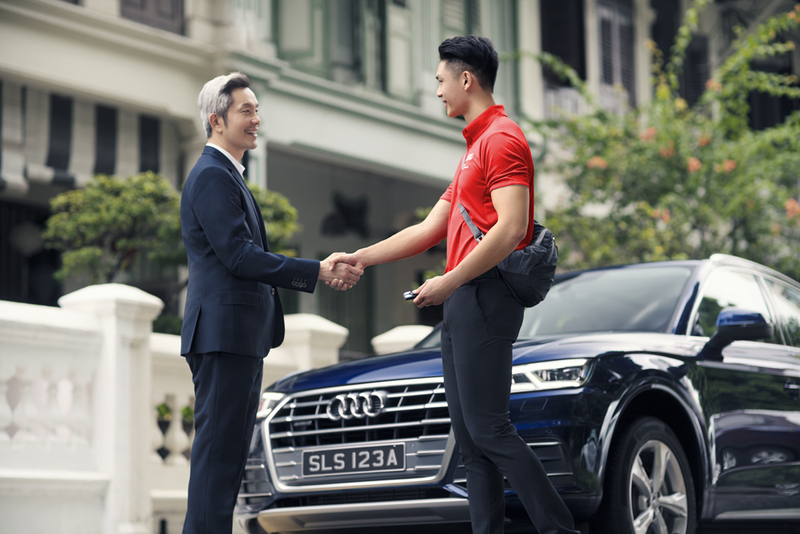 How much freedom does Audi in Singapore have to deviate from their guidelines? What about innovation. Do you have a certain autonomy to drive that? VR is part of that, right? What do you consider a good campaign, does it have to be an Audi campaign? What about the competitor in the US, Tesla? What is your favourite Audi model?